With the rack in the highest position, preheat the oven’s broiler. Line a baking sheet with parchment paper. Place the salmon fillet on the baking sheet. Oil lightly. Season with salt and pepper. Broil for 6 to 10 minutes, depending on their thickness, for medium soft doneness. Let cool and break into large flakes. Refrigerate. In a large bowl, combine all the ingredients with a whisk. Set aside. Add the cucumber and fennel to the dressing. Toss well. Season with salt and pepper. 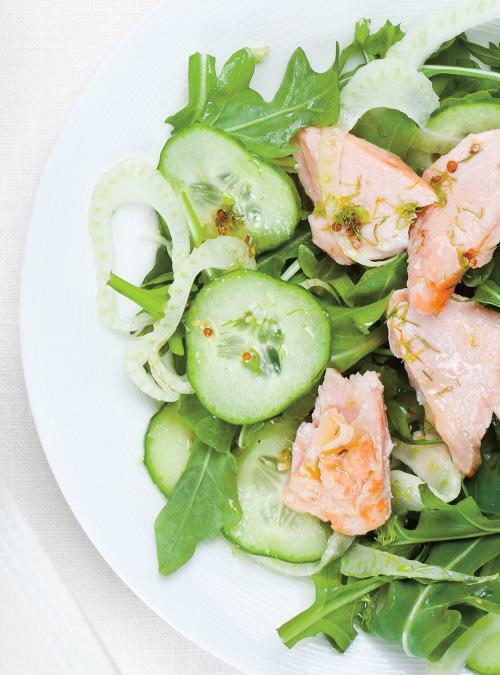 Serve the dill cucumber and fennel salad on a bed of arugula and top with the flaked salmon. 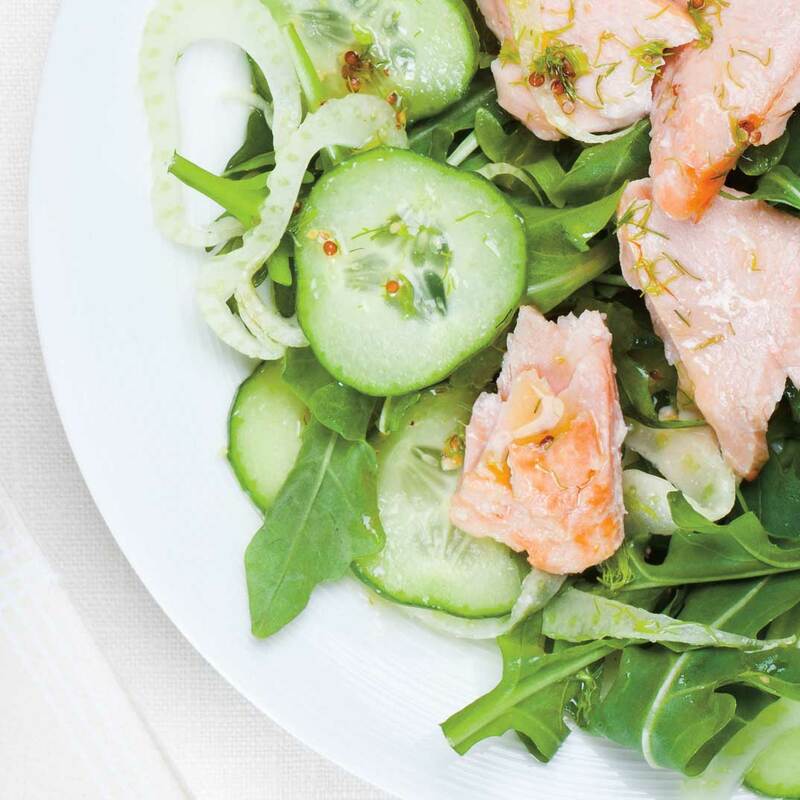 For lunch: The day before, cook the salmon, prepare the dressing and salad ingredients without combining. 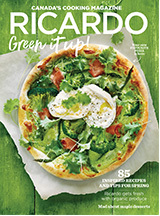 You’ll only have it to assemble the salad at lunchtime. The salmon was really good!